More gesture drawings using FORCE. For the clothes, keep in mind that you don’t need to copy what you see. You should make sure that your drawings read properly. So use the clothing to help communicate the action and make changes where necessary. It's such a liberating words, thank you so much Swen! I'm glad that my response was helpful to you marymary :). Some FORCE gesture drawings from tonight. Some FORCE gesture drawings to start the week. Hey Swen! Great foreshortening in the lower left. Don't have much to critique, but keep it up :) !!! Thanks niosh :)! Here are some more. Many artists have asked me how I reached my current skill level in gesture drawing. The motivation to go on a journey to master this subject came because of the frustration of doing hours and hours of gesture drawing and still struggle when I had to come up with believable poses for my characters. How could this be? What was I doing wrong? ​In this eBook I describe the struggles I went through during this journey and how I overcame them. 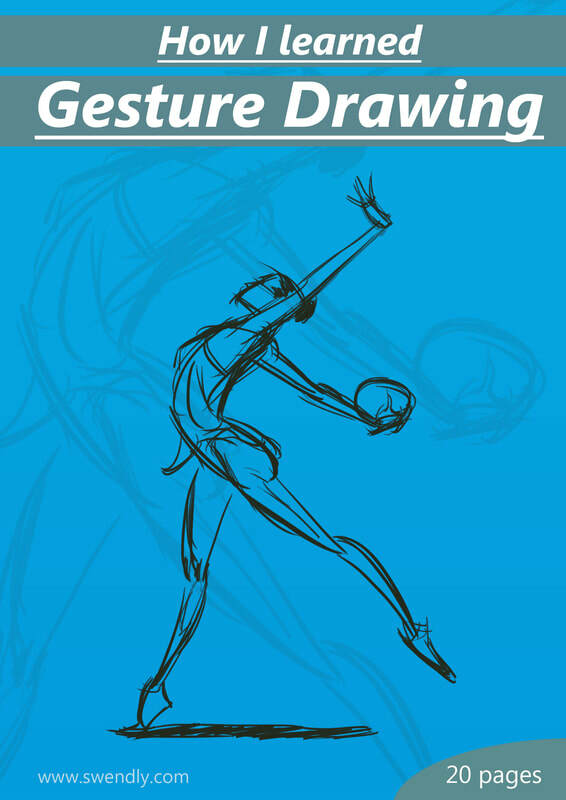 I hope that my story will inspire those of you who are struggling to learn gesture drawing and help you to endure the learning process, because there is a great reward waiting for you at the end! Some FORCE gesture drawings from this morning.